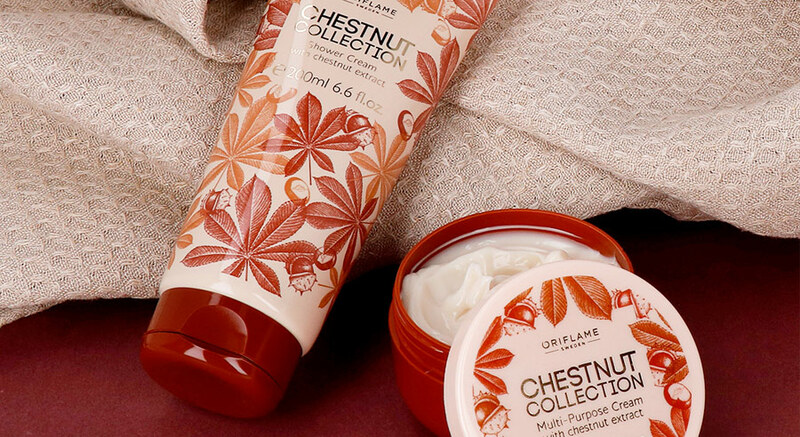 The nature section of Oriflame is full of cosmetics whose effectiveness is due to the organic extracts present in its formulas, such as the Chestnut Collection of Oriflame. One of the many reasons to use botanical ingredients is that they include powerful antioxidants that provide excellent benefits to the skin. Sweet Chestnut Extract – Nutritious and antioxidant nut extract, helps fight free radicals, moisturizes, nourishes and protects the skin. Dried fruits have always been famous for their nutritional qualities and skin benefits. In addition to the benefits to the skin, lips and hair, they are also beneficial to health while maintaining good energy levels. Discover all these benefits also in chestnuts. Here are some facts you should know .. The antioxidants and vitamins in the nuts provide a refreshed look and moisturize the skin. 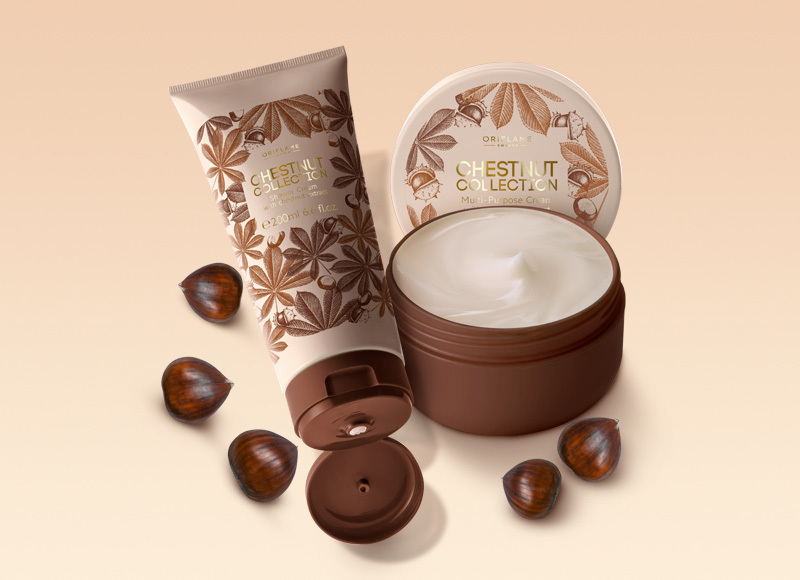 The products that contain chestnut in its formula The Chestnut Collection Multiplication Cream with chestnut extract, with its magnificent properties, will do wonders for the skin. Dry or scaly skin will benefit from the nutritional qualities of the chestnut. The fat-soluble B vitamins in the nuts help to develop red blood cells, using carbohydrates, proteins and fats in energy and strength. In addition, it promotes memory and brain activity. The rich combination of B vitamins is present in large amounts in the chestnut, which helps in growth and brain development. The nervous system is also improved by the stable blood circulation promoted by potassium. You can achieve a smooth skin through the application of lotions and moisturizers that contain chestnut in its formulas. The chestnut has softening qualities for the skin, leaving it with a healthy look. This is a wonderful moisturizer for the skin. The Chestnut Collection Shower Cream with chestnut extract can be used in the shower, helping to freshen the skin and moisturize it. Chestnut fiber promotes cholesterol reduction, which allows you to stay in shape, while its manganese content helps prevent heart disease. It also boosts energy levels so you can exercise without feeling constantly tired. 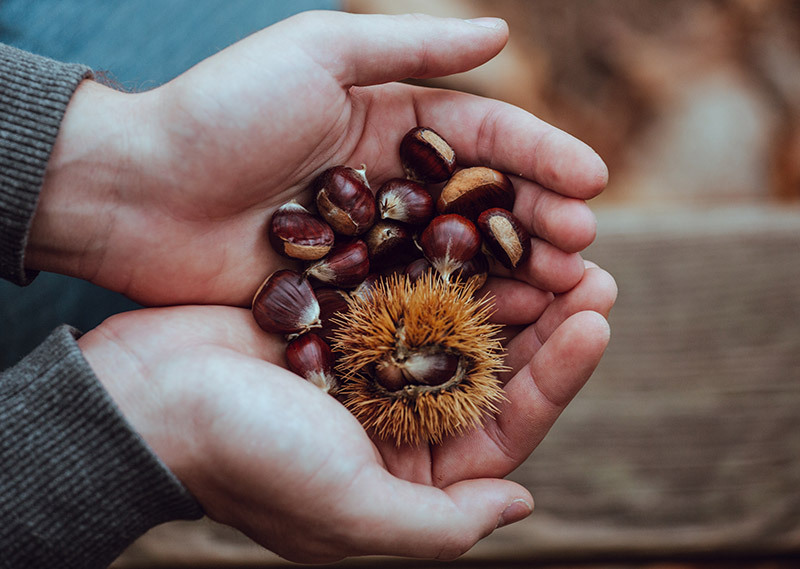 Potassium, B vitamins, zinc and vitamin E, present in chestnut, are also beneficial to your hair and eliminate toxins that damage and weaken hair. Shampoos and other hair care with chestnut are great for damaged and weakened hair. Now that you know the benefits of nuts, you will certainly want to try products with this ingredient. Chestnut is very beneficial for the body and for health, being recommended by nutritionists. Try our products with chestnut, but do not forget to consult your doctor to check if you have any allergies to this fruit, before using them. Scented, soap-free shower cream with antioxidant nut extract. Dermatologically tested, pH balanced and multivitamin complex to soften and protect skin in autumn and winter. 200 ml. Keep skin soft and nourished with chestnut extract and a soothing multivitamin complex. Dermatologically tested and developed for the needs of the skin during the cooler weather. 150 ml.